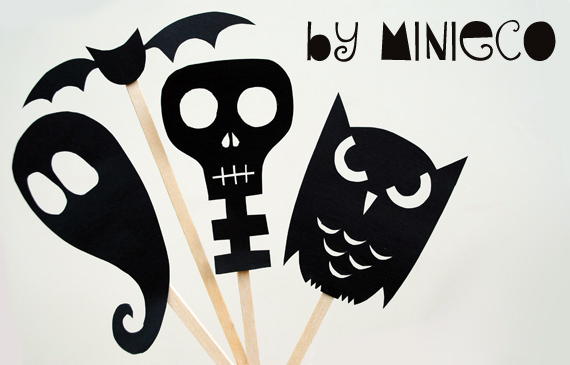 If your thinking of having a Halloween Party this year whether big or small there are only five things you need to cover to have a spoooooky party. 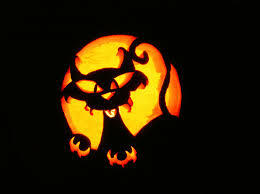 Dressing up, Trick or Treating, Games & Activities, Decorations and Spooky Foods. Below we have rounded up a few ideas to help save you time and money. You don’t always have to spend a fortune on costumes and accessories can be a cheap way to customize old clothes. Zombies are easy; rip up old clothes, small bottle of fake blood, spread liberally. Add a bit of talc in their hair, raid your make up and think panda eyes – and start walking like Michael Jackson in Thriller! Witches and cats are easy enough – think black! A cat’s tail can be made out of old tights stuffed with newspaper and secured with a safety pin and a witches broom can be made from a trip to the local park. Find a big stick and plenty of twigs and tei at one end with string. Knights returning from battle, escapee princesses are a great way to utilize what you have already got. Be inspired by Horrible Histories. Take a knight or a princess costume, add a little fake blood, brown, purple and black eye shadow for bruises and good ol’dirt and eye liner for drawing scars on faces and arms and your knights fresh from a recent battle, your princess just escaped from the clutches of a wicked witch. Younger children don’t need to go out Trick or Treating to have all the fun. They can have the excitement (and lets face it power!) of dishing out the trick or the treat when the witches and wizards come knocking. Don’t forget to stash up on all the BOGOF offers that most supermarkets do a this time of year. Give away a potato (yes, this actually happened to one of our Birdies broods and everyone thought it was very funny); they were given a treat – phew! Hide old little toys your kiddies no longer play with like cracker toys or party bag toys in a big bowl of jelly and cold spaghetti – see how brave they actually are. If you have an older child who thinks Trick or Treating is below them, get them to join in by giving them the job of scaring people. Ask them to stand by your front window in a mask – get them to knock on it when people knock on your door. When you open the door, hide and wait a few moments before jumping out and scaring your trick or treaters. Eat a doughnut without licking your lips – sounds easy I know – but its not! Jelly Fingers: Cut up a block of jelly with gloves on, using a with a knife and fork (plastic is harder) – under timed conditions – on your marks, get set!!! Light Search – Switch off the lights and hide a torch or glow stick in a room and give the children one torch – they then have to walk around the dark around the dark house and find the light. Mummys: You can’t go wrong with the mummy game – stock up on lots of cheap loo roll, find a willing ‘mummy’ . Have two teams and make it a race against time. are a must. You can carve a face or use an apple core to punch out holes and spell a spooky word. Remember pumpkin faces don’t have to be scary. They can be multi-coloured, given googly eyes and big smile, drawn on, painted or smeared with glitter glue and sprinkled with glitter. Give them a hat and a pair of glasses, stick on a moustache or simply buy a ‘warty’ squash – scar-ry! No room for a pumpkin or simply prefer to keep things small, then be inspired by Red Ted Art’s Satsuma Lanterns. Acorn pumpkins, pasta skeletons and ghost lollies – go take a peek! There is so much out there to make and have fun with and not everything has to take ages to make. I usually opt for cooking a not to hot chilli, which can be veggie as well if you prefer. The great thing is this can be cooked in advance and then decorated with a few spooky spiders….